A single component, urethane modified alkyd with excellent resistance to alcohol and cleaning materials. For inside and outside areas above the waterline requiring a beautiful durable varnish. Quick-drying to an extremely hard and durable high gloss surface, highly resistant to wear and abrasion within hours of application. 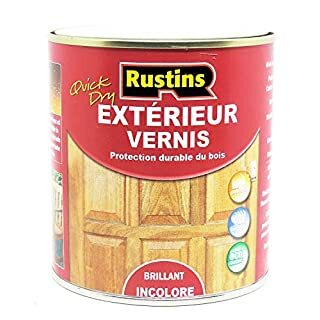 Rustins Exterior Varnish Clear Gloss.Size: 500ml.Rustins Exterior Varnish is a quick drying, durable, clear coating available in gloss and satin. It gives long-lasting protection to all external wood, is Eco Friendly and has UV inhibitors. It is touch dry in 30 mins, re-coatable in 4 hours. Clean brushes in water.Available in sizes 250ml, 500ml, 1 litre and 2.5 litres. 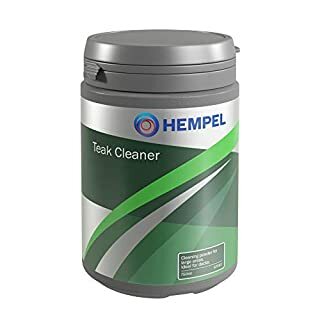 HEMPEL'S TEAK CLEANER POWDER 67543 is a cleaning powder for teak. Harmless to glass fibre, painted or varnished surfaces. Avoid contact with stainless steel. Recommended use: For cleaning of teak. Especially suited for large areas like decks. 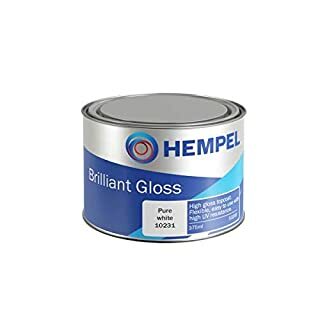 PHYSICAL CONSTANTS: Colours/Shade nos: Greyish/99980 Specific gravity: 2.3 kg/litre - 19.2 lbs/US gallon The physical constants stated are nominal data according to the HEMPEL Group's approved formulas. They are subject to normal manufacturing tolerances and where stated, being standard deviation according to ISO 3534-1. 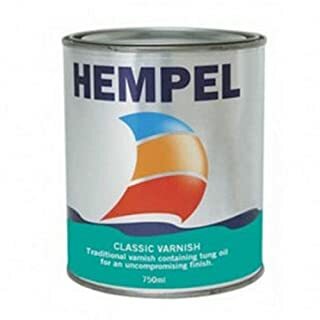 Application conditions: Wet the surface with clean fresh water and apply a layer of HEMPEL'S TEAK CLEANER POWDER 67543. Distribute the powder in a uniform layer with brush. The surface must be wetted sufficiently to keep the powder moist. After approximately 10-15 minutes when the powder is still moist the surface is thoroughly brushed with a stiff brush. Clean the surface thoroughly with clean fresh water. Depending on the application conditions the treatment may be repeated. 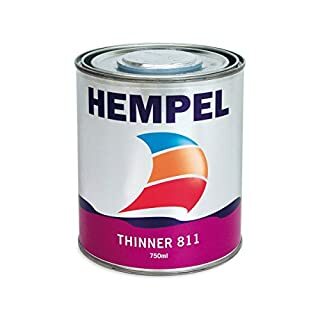 Hempel Thinner Number One Thinner and tool cleaner for single component primers, topcoats and varnishes. Flash Point: 38C. Product Data Sheet (https://cdn.webshopapp.com/shops/264156/files/230124830/pds-hempels-thinner-811-no-1-en-gb.pdf) Hempel Thinner Number Three Thinner and tool cleaner for Hempel?s Antifoulings. 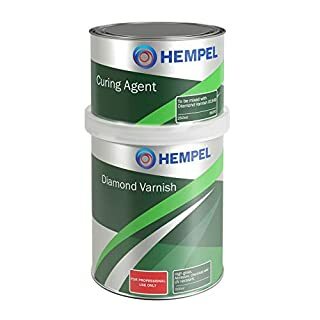 Spray thinner and tool cleaner for Hempel's one component topcoats. Thinner and tool cleaner for Hempel's Non Slip Deck Coating. Flash Point: 23C. 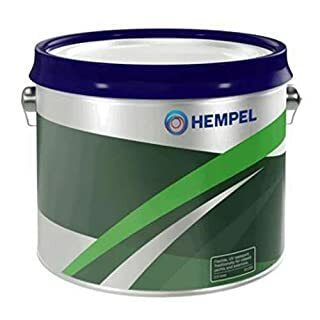 Product Data Sheet (https://cdn.webshopapp.com/shops/264156/files/230124968/pds-hempels-thinner-808-no-3-en-gb.pdf) Hempel Thinner Number Five Hempel's Thinner 5 is useful for paint which is to be applied in a low film thickness (for instance as a "sealer coat") or if the paint has become too think (e.g. in very cold weather), the Hempel Thinner 5 may be added to obtain a consistency suitbale for application. Hempel's thinners are blended to give the best results with regard to brush-ability, spray properties, etc. 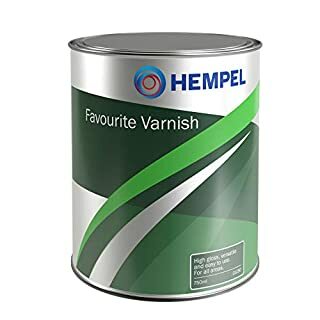 Flash point: 26°C Product Data Sheet (https://cdn.webshopapp.com/shops/264156/files/222272897/pds-hempels-thinner-845-no-5-en-gb.pdf) PLEASE NOTE: THIS PRODUCT IS FOR COLLECTION ONLY Hempel Thinner Number Six Spray application and tool cleaner for Hempel?s two component polyurethane paint and Diamond Varnish. Flash point: - 4C. 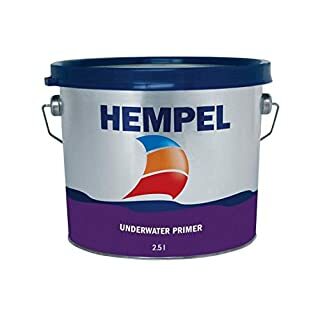 Product Data Sheet (https://cdn.webshopapp.com/shops/264156/files/230125031/pds-hempels-thinner-851-no-6-en-gb.pdf) Hempel Thinner Number Seven Spray thinner for Hempel's Ocean Gloss. 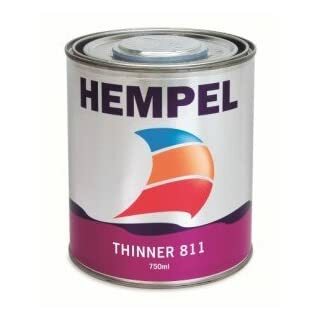 hempel' S thinner 08 X xx0 Hempel paints are made and supplied ready to use, in a way that does not require dilution, provided that the product is mixed before use.However, if the application provides low thicknesses (For example in the case of a sealant) or if the product is thick, for example due to the low temperature, we need to dilute the paint with diluents indicated in the relevant technical cards, in such a way as to obtain the fluidita is necessary to the application. As a general rule, the dilution must be minimum. diluents are mixed in order to ensure the best result for both the application brush, spray or roller. 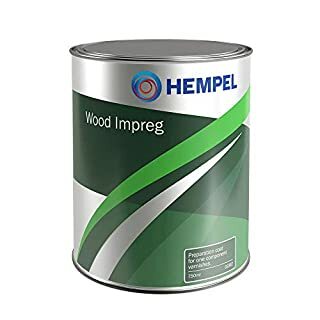 Description: HEMPEL'S WOOD IMPREG 02360 is a quick-drying, silk gloss urethane alkyd varnish. It has good resistance to seawater, sunlight and adverse weather conditions. 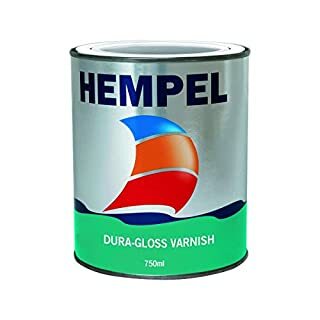 The quality is related to HEMPEL'S DURA-GLOSS VARNISH, but with a silk gloss finish. Areas of Use: On new wood as well as previously varnished wood, interior and exterior, above the waterline. 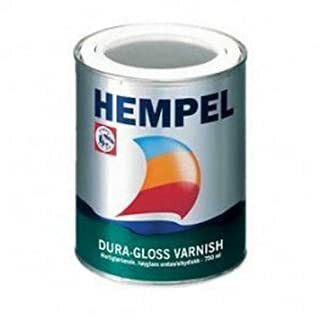 Hempel Sealer 599 is a two-component epoxy-polyamide varnish with low viscosity and good penetration ability. For saturation of glass fibre laminate, when gel coat has been removed (repair of osmosis damage). 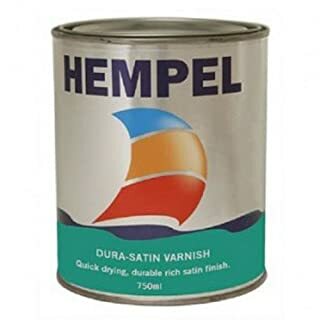 For priming of ferro-cement boats and boats of wood that can absorb the sealer. Minimum Application Temperature : 10°c Glass fibre: All loose/defect gel coat must be removed and any absorbed moisture must have evaporated before applying the product. Ferro-cement: Any loose surface layer (e.g. laitance) must be removed by sanding or abrasive sweeping. The moisture content of the concrete must be below 3%. Wood: The wood must be completely dry, moisture content below 16%, and should not be primed with any ordinary priming oils or commercial antimould fluids. The wood must be capable of absorbing the sealer completely. APPLICATION CONDITIONS: The surface must be completely clean and dry at the time of application and its temperature must be above the dew point to avoid condensation. Use only where application and curing can proceed at temperatures above: 10°C/50°F. The temperature of the surface and that of the sealer itself must also be above this limit. Brush is recommended to ensure the sealer being worked into the substrate. Absorbing surfaces must be treated several times until saturation. In any case a glossy surface must not appear and such a surplus of the product must be removed by sanding before painting takes place. In confined spaces provide adequate ventilation during application and drying.